Ichiro Akuto is the 21st generation of a drinks dynasty in Japan. In 1941, Ichiro's grandfather built the Hanyu distillery. While much of their history is in sake production it wasn't until the 1980s before they started making whisky. Through difficult economic times the business was sold on, and the Hanyu distillery was subsequently closed in 2004. Ichiro managed to buy the remaining Hanyu whisky casks and he set about selling the whisky. He came up with a playing cards brand and initially planned to only release 4 products from 4 individual casks - one for each card suit. The brand, along with the quality of the whisky, proved so popular that Ichiro continued the releases and over 9 years completed the pack of 54 releases, including the 2 jokers. 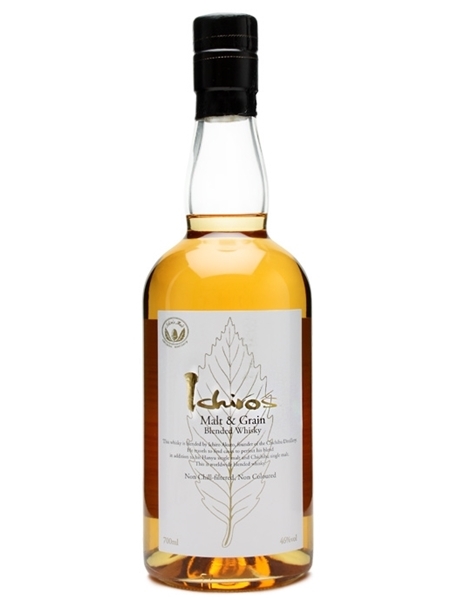 On the back of all that success and depleting Hanyu stocks Ichiro founded his own Chichibu distillery in 2008. Already, even in the short years in production, his Chichibu whisky has won worldwide aclaim. Some of his Hanyu and Chichibu malt whisky has made it's way into this expression, along with whisky from countries all over the world. It's natural colour, non-chill filtered and bottled at 46% ABV.